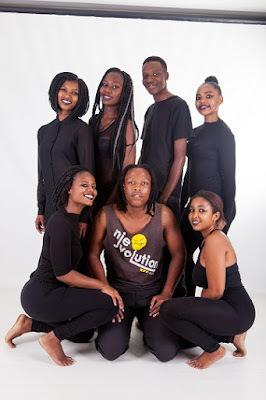 Arts and Living Cultures, eThekwini Municipality is supporting 12 Durban theatre groups enabling them to attend and perform at this year’s National Arts Festival taking place in Grahamstown from June 29 until July 9. The National Arts Festival (NAF) is widely considered to be the premier national arts festival in South Africa boasting a strong and varied programme of the best of performing and visual arts across all genres. This year the over-all focus of the festival is “Creative Disruption”: For the first time in its 43 year history, the festival put out a call for proposals with a theme. eThekwini’s support is enabling 120 theatre makers from 12 different productions across various genres to have a presence on the Fringe of this year’s NAF. The productions which the city are supporting are: Trafficked (Trulife Productions) combining physical theatre, poetry and media projections to tell the story of a girl tricked into a human trafficking syndicate; Game Over (Umvini Performing Art Project) looking at love! ; Us against Them (Aphiwe Namba) a politically driven protest piece; The Chameleon (Magenta Pro) which looks at the quest for peace; Phumlani Mtiti Trio (Eco-Art) a contemporary instrumental trio fusing indigenous, western classical and SA jazz cultures; Daffi Falls (Umsindo Theatre Projects) about the life and times of Muammar Gaddafi as told by a journalist obsessed; Refugees (Wushwini Arts and Heritage) about displaced people in a refugee camp; Kubili (Musa Hlatshwayo / Mhayise Productions) a double bill of dance; Ants Job (Dikianga Arts) looking at the dishonourable state of living for Somali women; Inyathuko (Mnqobi LM Arts Co) a complicated love story; Women in Tears (Edgy Drama Mix Productions) which reflects on the killing of mine workers by police inspired by the Marikana Massacre, and Nomalizo, The Brave (Madanisa Creative Productions) a love story written and directed by Bonginkosi Shangase. “We are always delighted in being able to help facilitate taking productions to the National Arts Festival. It is important for the city to have a presence at one of the country’s foremost arts festivals and to allow our theatre makers to experience a national platform – especially emerging theatre voices to be able to add their story to the national dialogue,” said Themba Mchunu: Manager – Arts and Living Cultures, eThekwini Municipality. Earlier in the year, the city put out a public call to groups and individuals who had already registered and been approved to perform on the fringe at Grahamstown. There were no criteria restricting the genre of productions to be supported: be it dance, musical theatre, drama, comedy, physical theatre, etc. Selected productions received city support towards their transport, accommodation and marketing costs. Carrying Durban’s flag at the NAF will also be Neil Coppen whose new piece, Newfoundland (Buiteland) is on the main programme. The latest offering by Durban’s multiple award-winning theatre maker, Newfoundland looks at the relationship between an Afrikaans anaesthetist based in Pietermaritzburg, and an isiZulu speaking choreographer with a calling to become a Sangoma. Durban music guru and practicing labour lawyer Richard Haslop has four interesting music themed talks which looks at music through his immense knowledge and quirky eyes. Also on the programme are Durban’s own Guy Buttery, and singer Noma Khumalo from Pietermaritzburg. Making people laugh will be Lisa Bobbert and Aaron McIlroy with their Comedy Masterclass and Marriage for Dummies and Ben Voss and John van de Ruit with their Mamba Republic. Rajesh Gopie’s classic Out of Bounds has been re-imagined as a two hander. The National Arts Festival 2017 runs from June 29 to July 9.